I will yell it from the rooftops but I absolutely love shooting inside your home! And I'm not just saying that because Rosa and Joe also cooked me a plate of delicious food. You don't have to feed me a homemade meal! In this case, it was just an added bonus (omg it was so good). I met up with Rosa and Joe inside their quaint home in Brookside Kansas City, where I also met their adorable and energetic pitbull, Terrance. 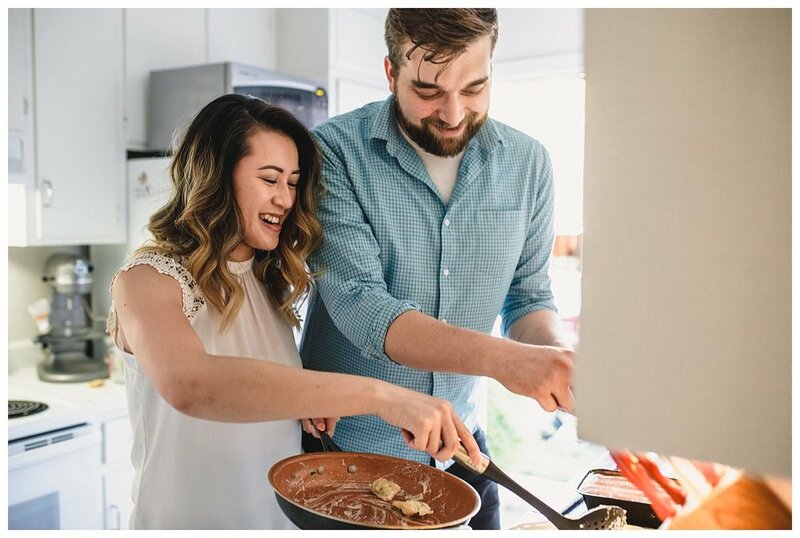 I absolutely adored photographing them cooking together, dancing in their kitchen, and snuggling up on their couch. At sunset, we took a ride up to Loose Park to get some flowers in bloom. Rosa and Joe are some of the most fun-loving people I've met! They cracked me up through the entire session and we talked about some recent favorite anime, makeup, and music. Even after the session was over, we hung out for just a bit longer just chatting! 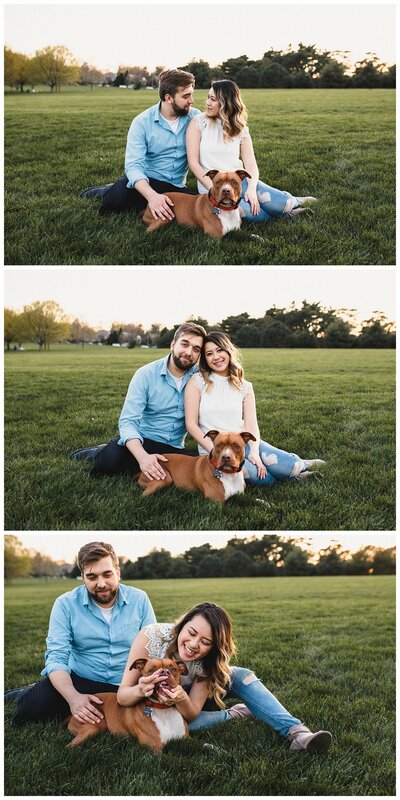 They just recently bought a house together, so I think I'm going to have convince them to do another in-home session with me in the future! Congrats you guys! I cannot wait for the big day in November at the El Torreon!